Get ready for an open-world space action single-player RPG. Enter the cockpit of hardbitten hero Captain Jonathan Bold as he travels the vast universe of Starpoint Gemini 3. Engage in action-packed space battles, visit amazing worlds and encounter interesting characters to find the answers you seek. For the first time in the franchise, Starpoint Gemini 3 brings animated 3D, NPCs that you can interact with, and this time your path leads beyond Gemini as you get to explore two new planetary systems. You are not alone on your journey. You have ADAH, a digital consciousness that runs your ship's computer and can download itself onto your drone, which you can then control in ADAH’s role to accomplish off-ship tasks you could never do alone. Buckle your seatbelts and prepare to immerse yourself in a world of space adventurer. Visit various venues, from pubs with shady clientele, to high-tech facilities and glitzy, noisy nightclubs, pick your targets and choose your allies. Your journey is about to begin. The upcoming Starpoint Gemini 3 PC release date is 2019 in the US and the UK. 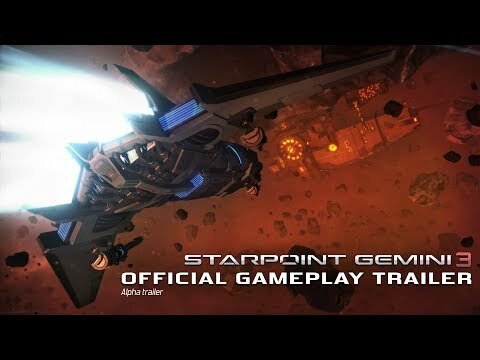 Notify me when Starpoint Gemini 3 is available.